Jim and Gayle were two weeks ahead of me in San Diego. I was sitting out a hailstorm in McDowell Mountain Regional Park when Jim sent the report that “Sprouts has 88 cent blackberries, beer flows from the tap, and the streets are paved with gold here.” It was all I could do to keep from scrapping my Topo Map course and high-tailing it to San Diego two weeks earlier than planned. 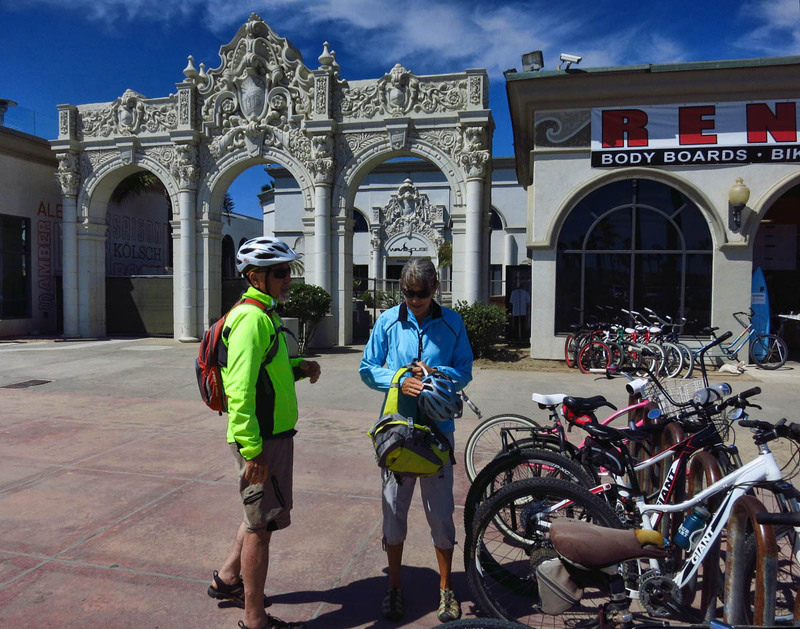 But the one story they told that intrigued me more than anything was riding their bikes to a brewery! 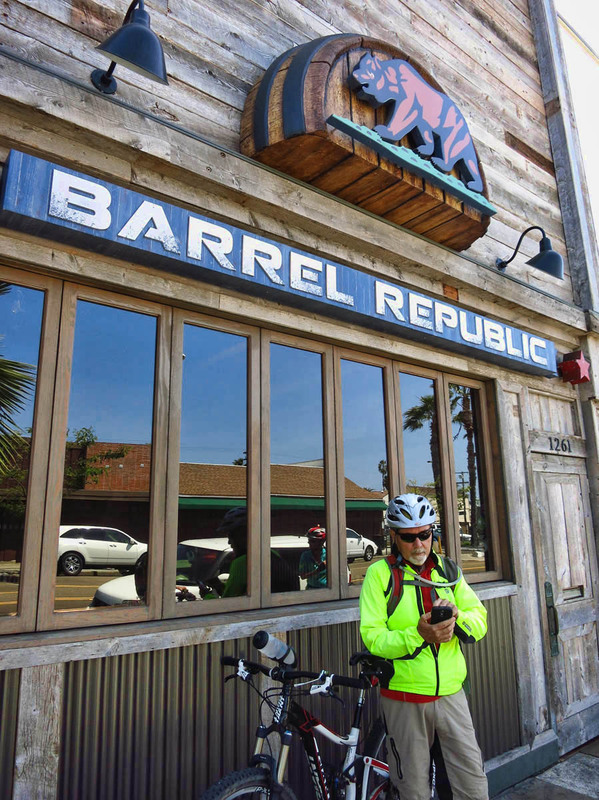 The thought of being able to ride a bike path all the way to a brewery and back sounded like more fun than the Barrel Republic of monkeys! 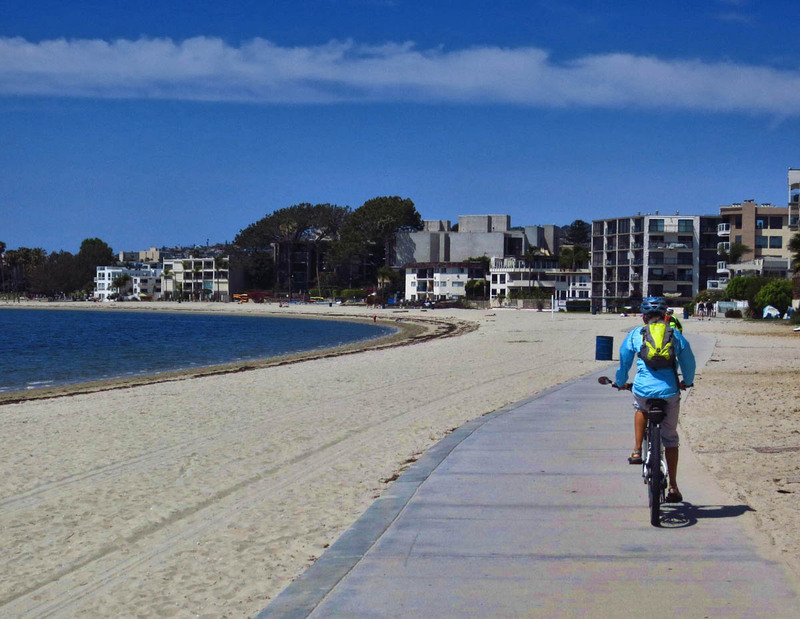 The bike path runs right outside Mission Bay RV Park, and once I found out this bike path also traveled along the BEACH, Jim’s comment “the streets are paved with gold” took on a whole new meaning for a beach lover like me. 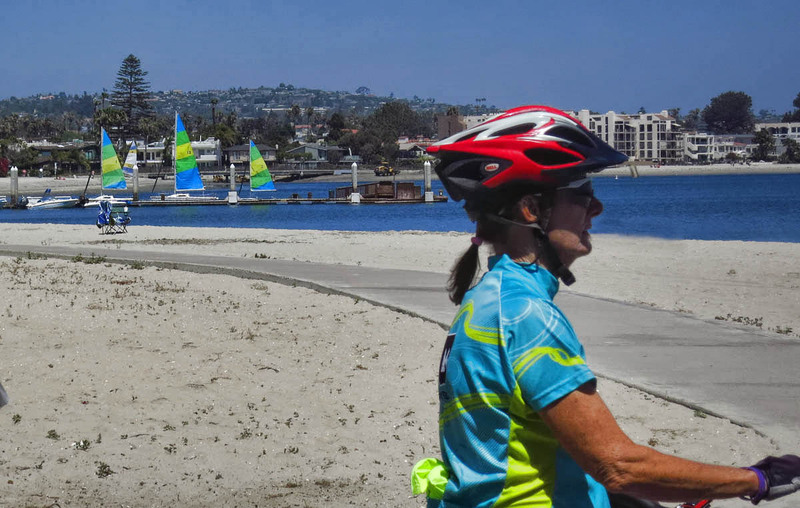 I did three fun rides while in San Diego; A 16 miler with Jim and Gayle along the beach and boardwalks to the brewery and back, an 18 mile loop around the bay with Jim and Gayle, Jim (Davis) and Allison, and a nice 10 mile sunset ride with Gayle around Fiesta Island. 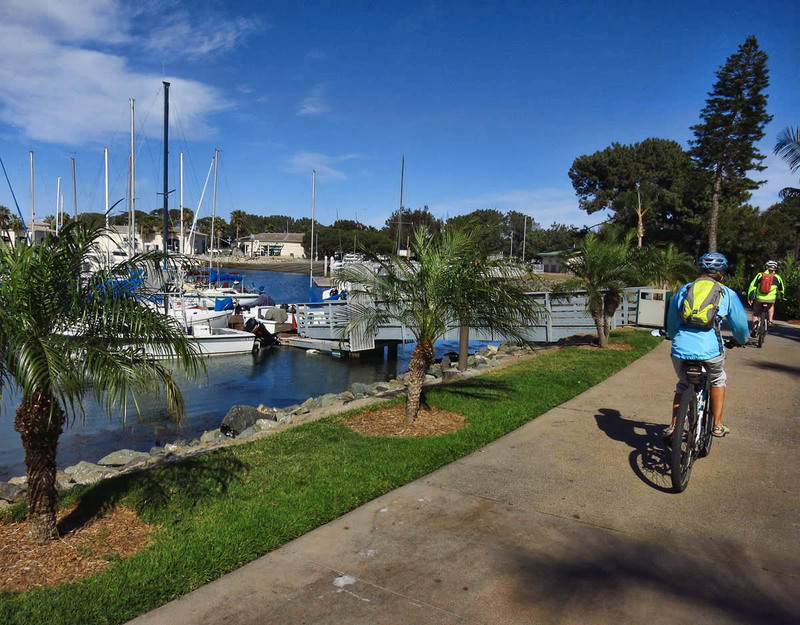 The loop around Mission Bay has some gaps, admittedly, but overall the views can’t be beat! 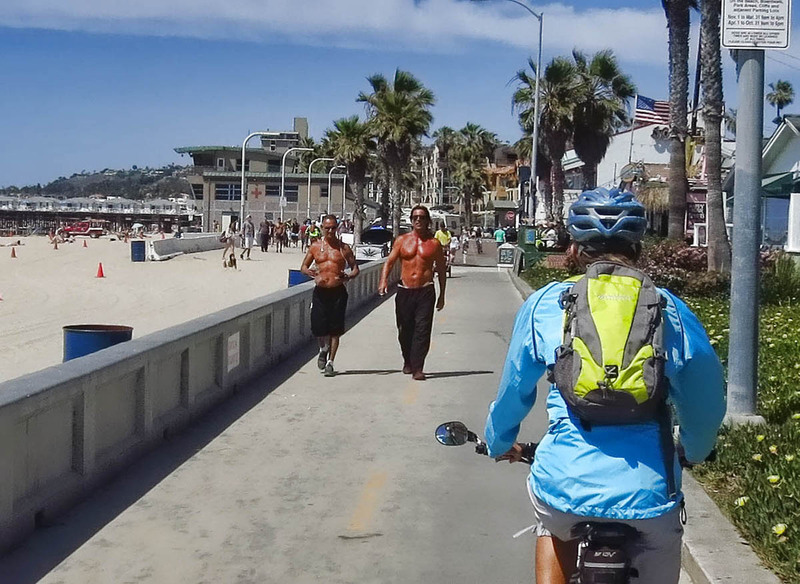 Who has right of way when meeting a Segway? Most of the path is along the water. I loved this ride! 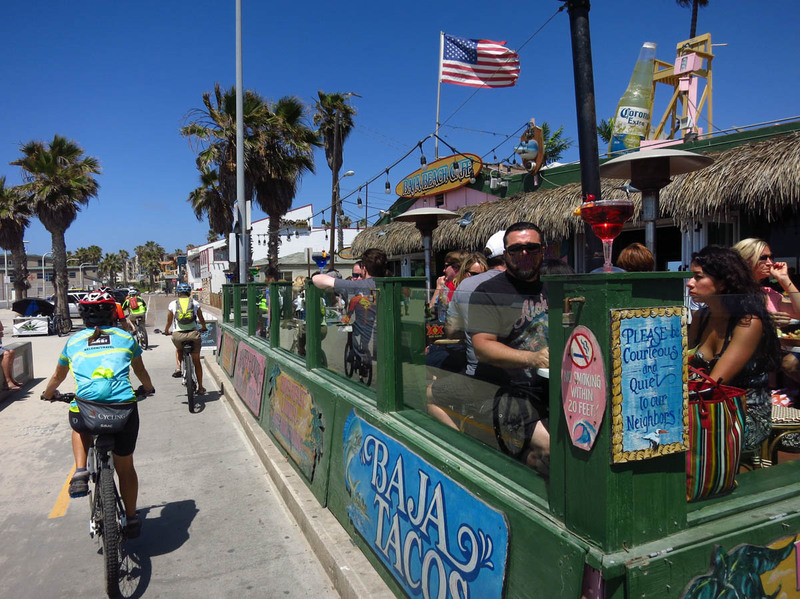 Boardwalk tacos, trinkets, and tee shirts. In the lead is Jim, followed by Jim, Allison, and Gayle. I love how Allison’s shirt matches the sails! 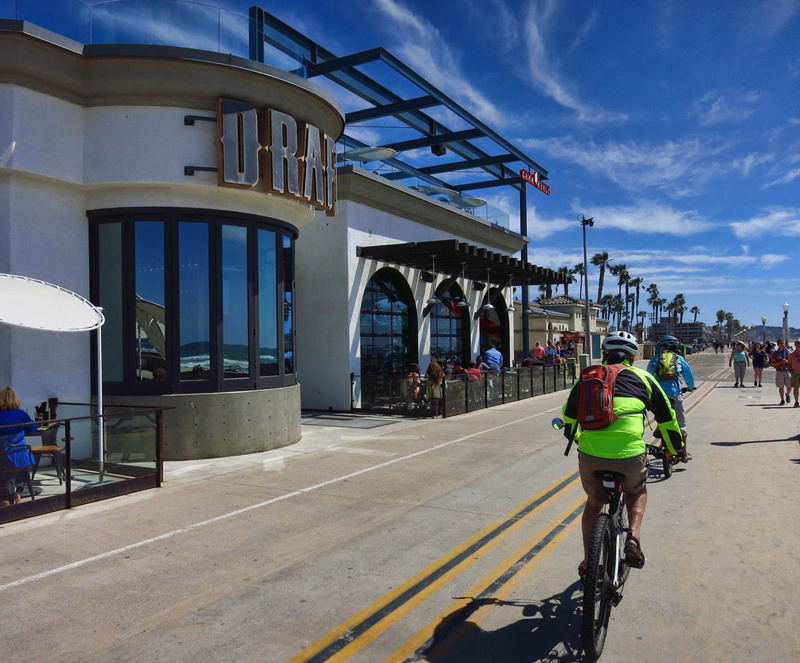 Today’s post is paired with a selection from “Draft,” a Mission Beach boardwalk brewery that is literally right along the bike path, overlooking the Pacific Ocean. 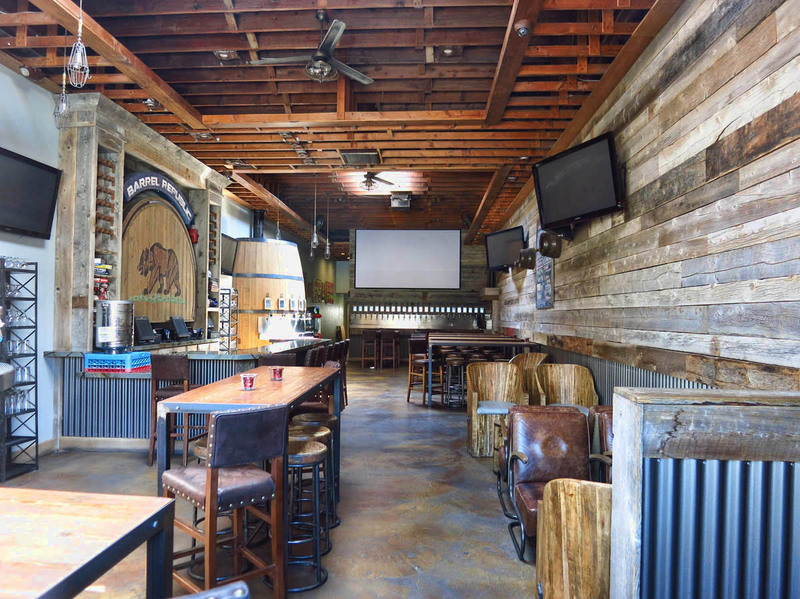 Offering “brews and views,” they have over 69 beers on tap, with another 30 brands in bottles. It was here that I first met my one true love, Karl Strauss 26th Anniversary Bourbon-barrel aged Belgian Dark Strong Ale, the standard by which all other beers will forever be measured. 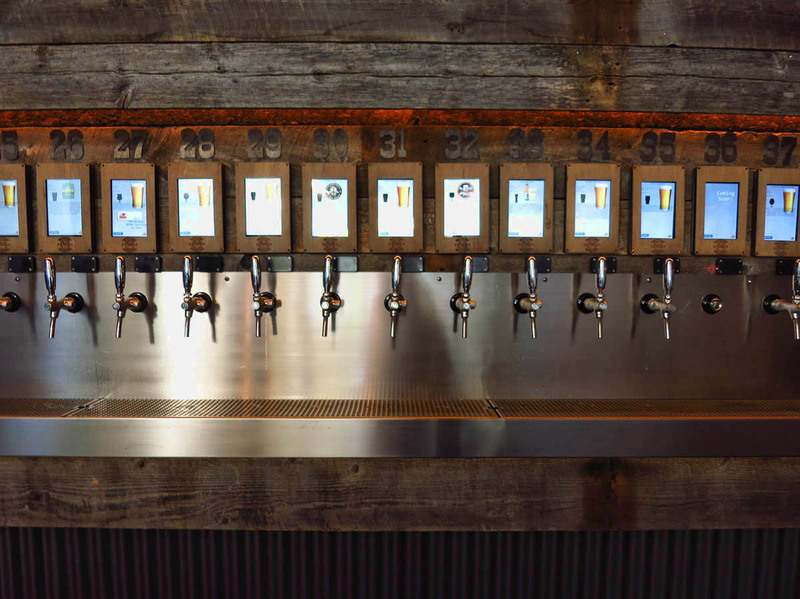 Draft on Mission Beach — 69 taps of beer on the wall! Gayle is the chronologist of beer flights. 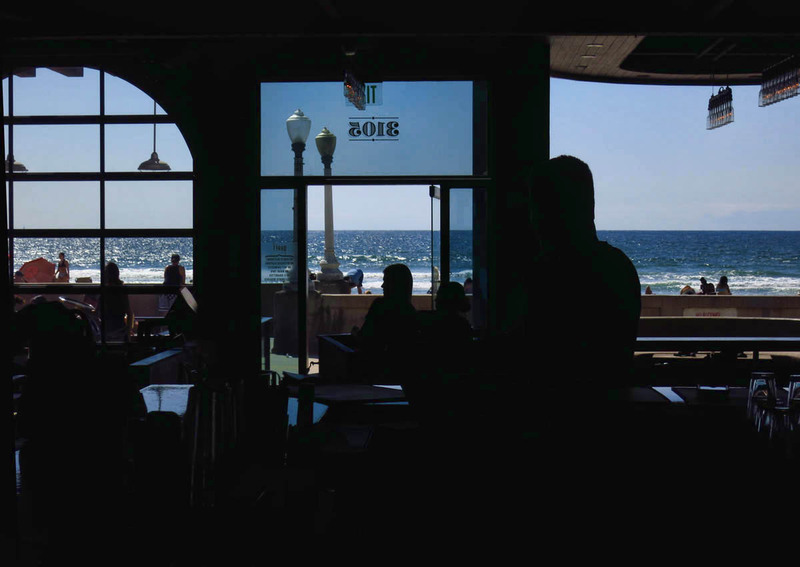 View of the Pacific Ocean from Draft’s bar. 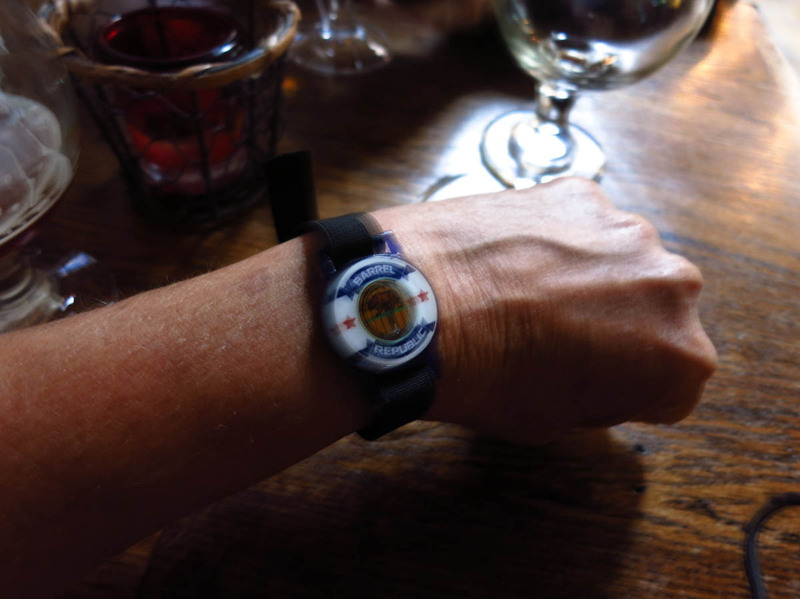 Just wave the magic wristband above the tap, and pour, pour, pour. 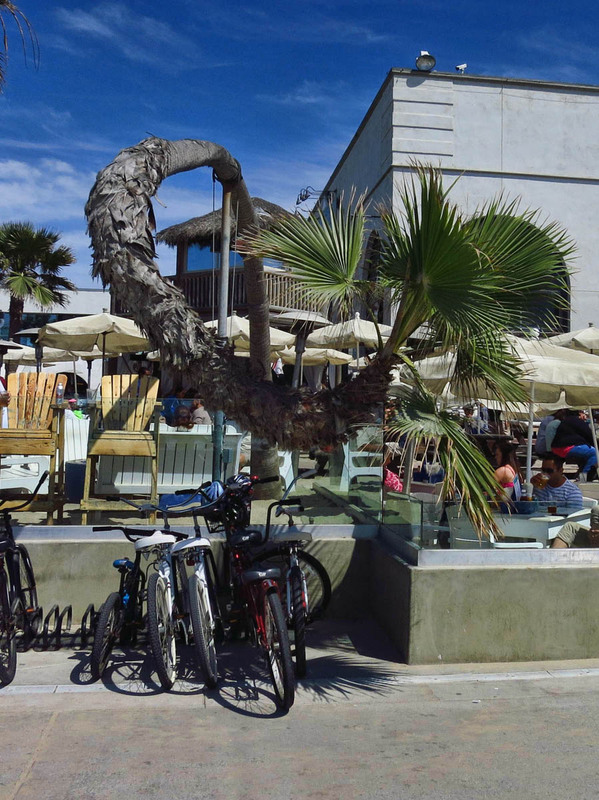 This entry was posted in California and tagged Barrel Republic, biking, Draft, Karl Strauss, Mission Beach, Pacific Beach by Suzanne. Bookmark the permalink. Gaelyn, the only minimum is one ounce! It’s a great place to try new types of beer because you don’t feel like you have wasted (or ARE wasted. haha!) They have wine too! Old cyclists have a saying ” You have to earn your beer” You can beat a few beers after a long ride, not only does it replace calories it also relaxes those tense muscles. 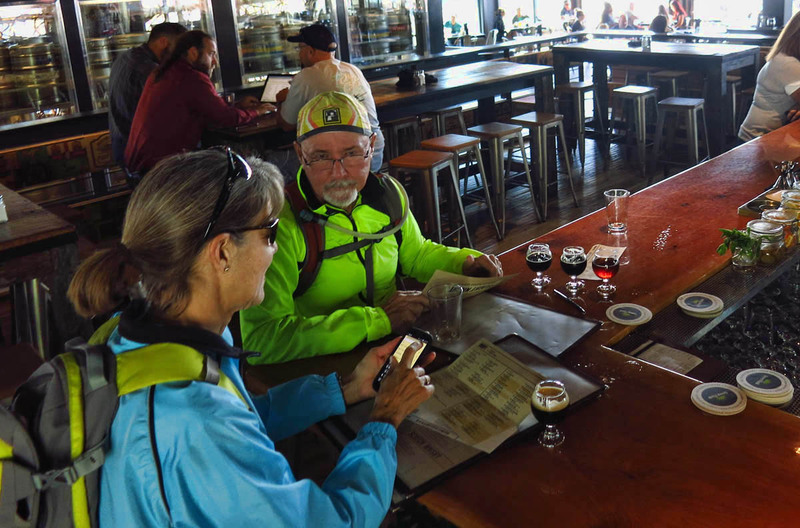 Yes, Dave, it has now become “routine” to stop back by the brewery after a hike or bike ride. I have now moved 90 miles away, but still within brewery radius. I’m going to need an intervention soon. haha! 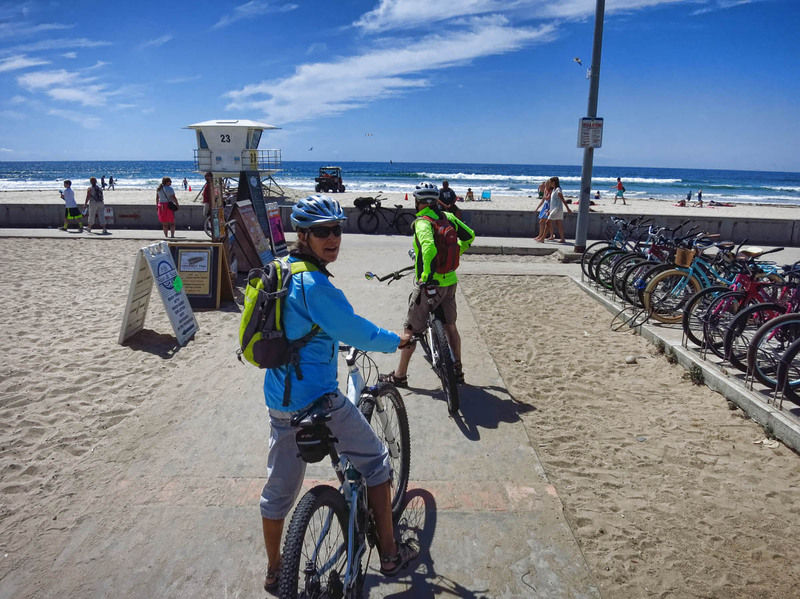 What could beat the three B’s – bike, beach and beer? Thanks for the great tips! 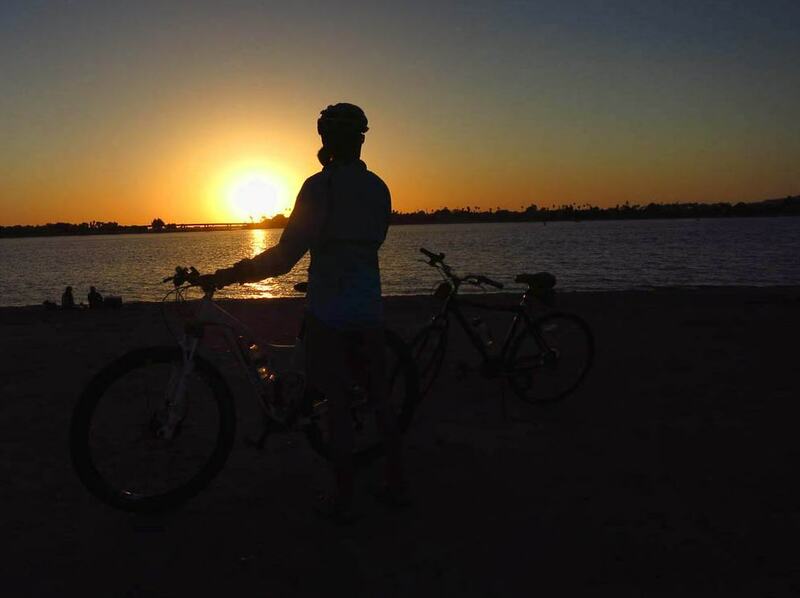 I don’t believe I have ever taken a sunset bike ride? LuAnn, the sunset ride was lovely. 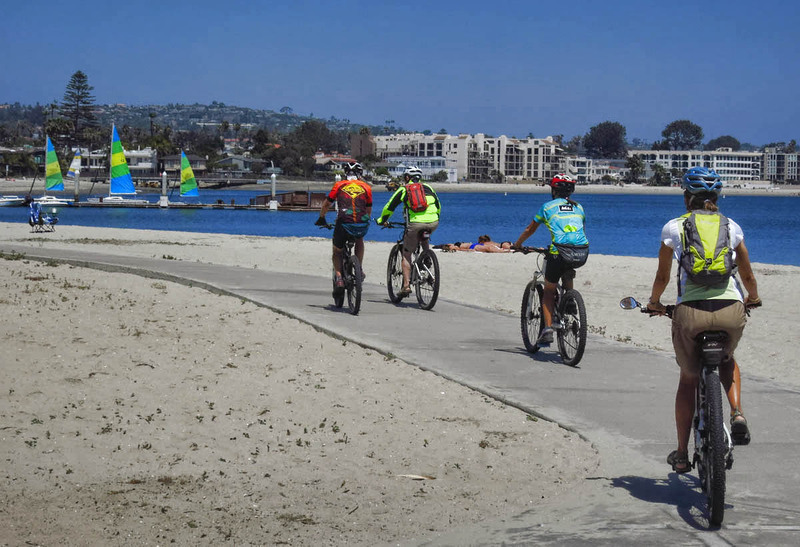 It was out of “necessity” in that it was my last day in San Diego, and I still had not ridden the loop around Fiesta Island. I had been out and about all day, so I was out of time. It was ride at sunset or not at all. But it was such a lovely experience, I would do it again intentionally next time! Great pictures of the biking and the beer. 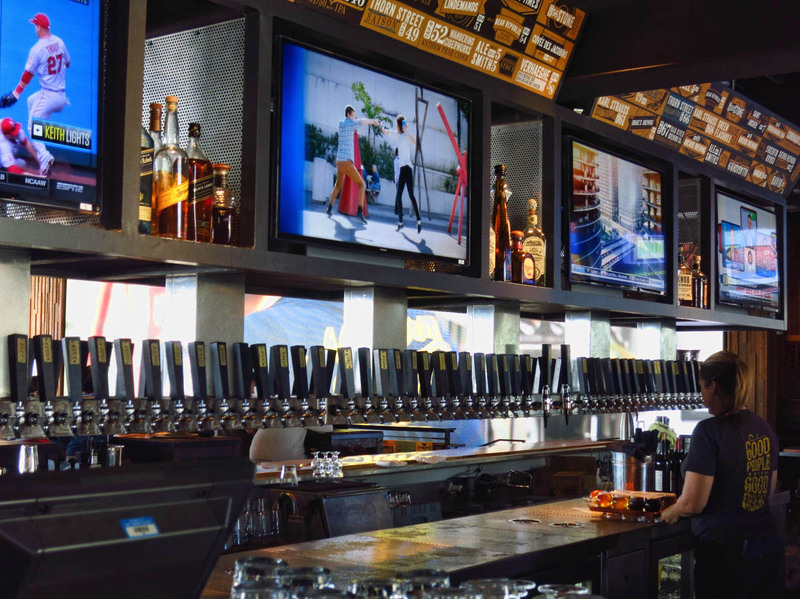 I never knew San Diego was the beer capital of the world, I thought it was Bend, Oregon. Well, maybe not the “world.” LOL! According to USA Today on “Craft Beer in America,” California leads the race, followed by Washington, Colorado, with Oregon in 4th place. 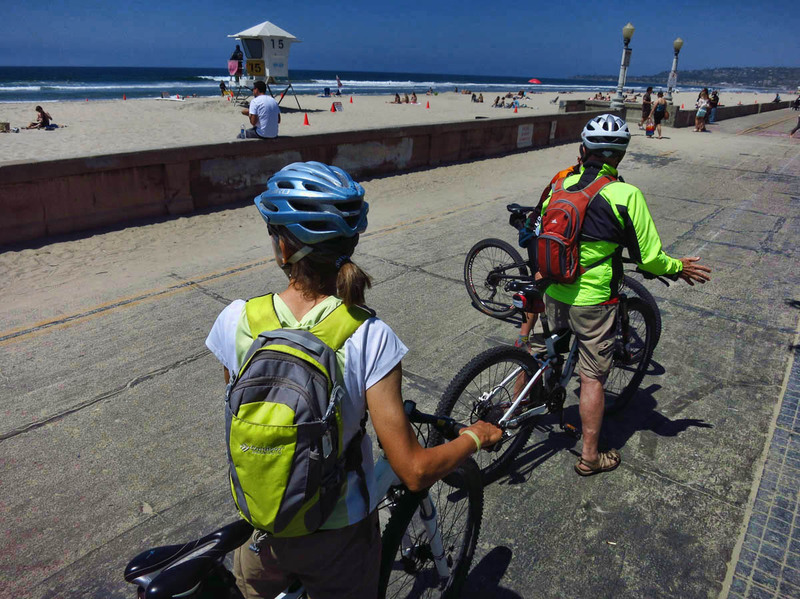 Love the cycling paths along the beach. 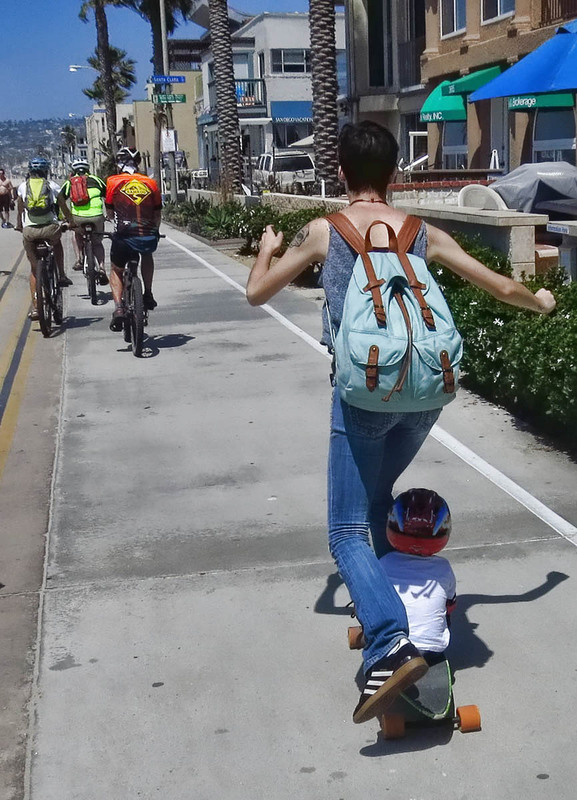 The Mom with the kid on the board is wacky! Contessa, I about fell off my bike when I saw that woman whiz by! I just know how fast a video appears when that low to the ground, so that kid must have one heck of a thrill ride! Ah yes, you’re making me miss the city. But can I say how much I LOVE your header pic?! Nina — Which one? I have them on a “random selection,” so I never know which one you see. Lemme guess…Lime Kiln? Great shot of our two buddies, the epitome of beach bums. I was not surprised when I heard one tell the other “she was 13 going on 25”. Would have liked to hear the rest of that story! I had no idea you were taking all those photos while riding. Lucky you didn’t crash your bike! 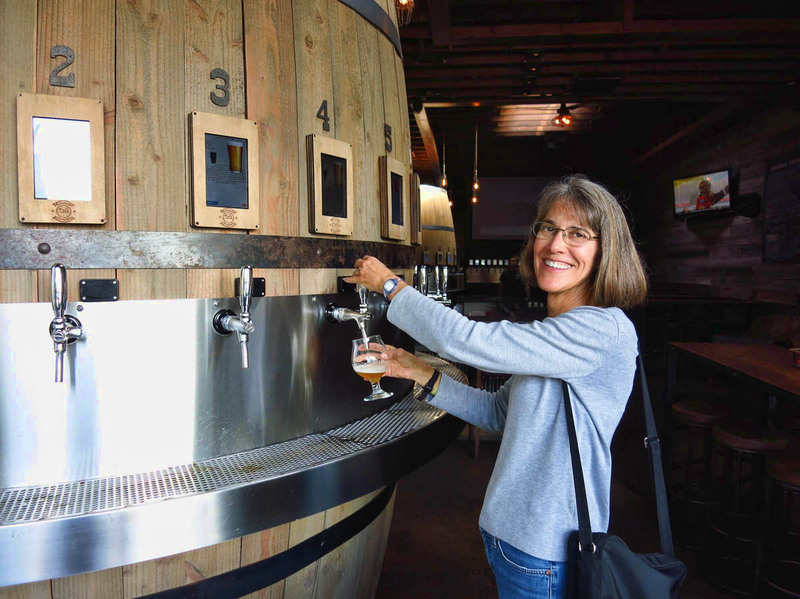 I will have to try that particular KS beer…I do love me some bourbon barrel aged beer! 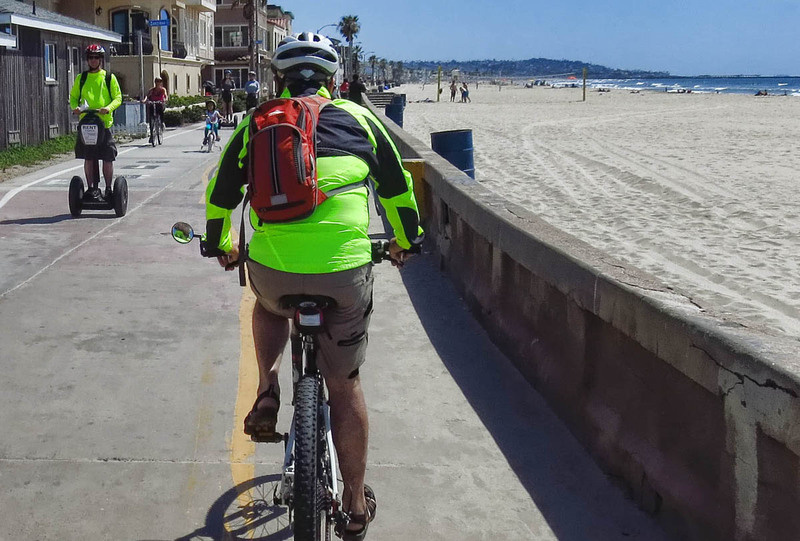 We really enjoyed the fact that you can ride your bike everywhere you need to go. Love the trail along the water. I do believe Barrel Republic has the right idea! Whats up with that idiots bag all wonky? Gayle and I finished our bottle of Old Strangler from Garage Brewery in Temecula and you will love it. In 1967 when I spent a month in training at San Diego there were no brew pubs. I must return.